Werner Herzog has been shot at during an interview on a LA street corner, has led a film crew through a possible Loch Ness Monster sighting, worked with and nearly killed the actor Klaus Kinski (more then once) and has been to, directed and written this documentary about Antarctica, Encounters At the End of the World. 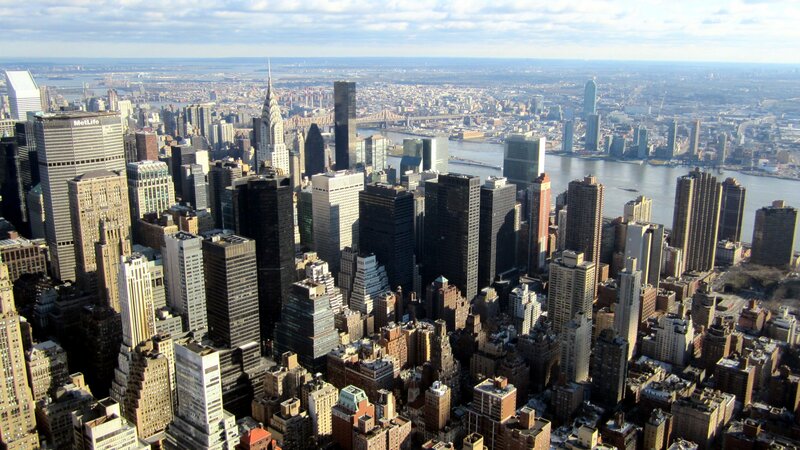 This is a two-hour travelogue of amazing views with Herzog’s commentary. Whether he was filming spectacular sights in water under miles of frozen ice, at the rim of an active volcano and ‘spelunking’ through snow caves, I found myself wanting Herzog to just film the beauty and “shhh” most of the time. He keeps the camera trained for what seems a lifetime on interviews with scientists and workers, the “professional dreamers” working in this unforgiving place. Even when we are watching seals, penguins, guitar-playing scientists, miles and miles of frozen ocean-even some footage of a famous expedition attempted a century ago-Herzog just can’t help philosophizing. One of the best moments of the film happened near the beginning when Herzog showed (and did not talk over) mandatory training exercises for anyone venturing into the Antarctic wilderness. A group was attached to a thin line, sent only a few feet across relatively calm and easy snow, but with buckets on their heads to simulate complete white-out conditions. This experiment was as dramatic and interesting as anything Herzog later filmed or pontificated over, illustrating a real life and death possibility in this dangerous place. 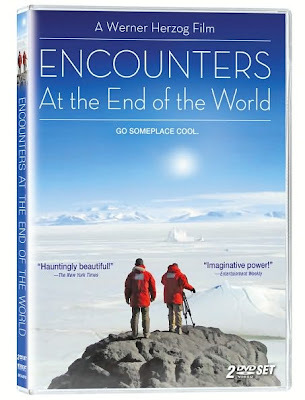 Encounters At the End of the World contains two discs, the second one featuring a Jonathan Demme interview with Herzog and featurettes like “Under The Ice, Over The Ice” and “South Pole Exorcism.” The entire exercise is a solid study of an imposing place made by an imposing (or at least he thinks he is) filmmaker.